It has been a slow year for blog entries ! Here are a few completed projects that have kept busy – This is a pretty good sized gourd for an egg mosaic, nearly 35 inches in diameter and it took a while to complete. I added a sea grass band at the top and finished it off with a kumihimo braid with beads. I do love the finished piece. 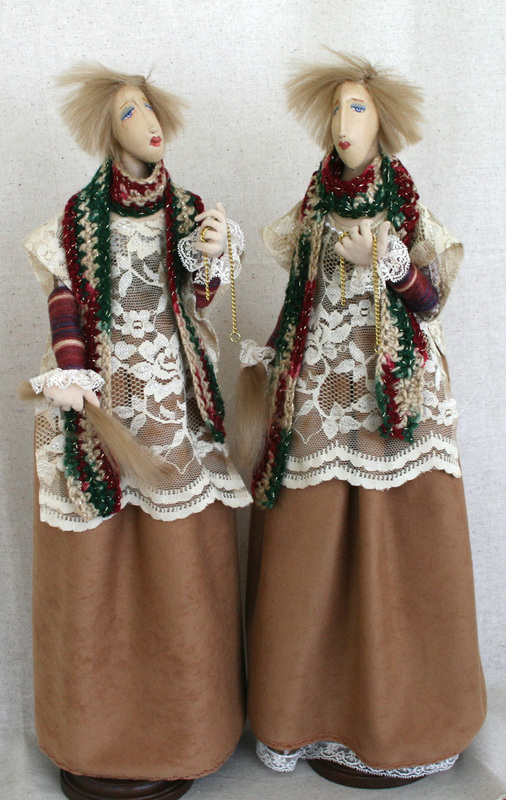 I made two of the Cindy Moyer “Gift of the Magi” dolls. I just fell in love with this pattern and I am so pleased with the completed dolls. 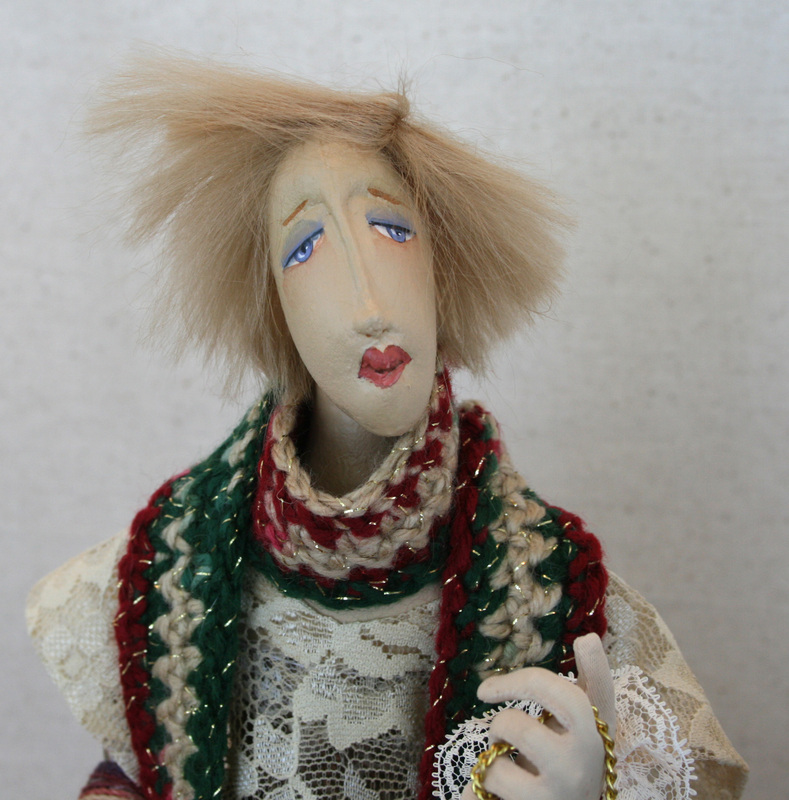 Here is a close up of the face – The most difficult part of this doll was attaching the mohair, extremely painstaking! 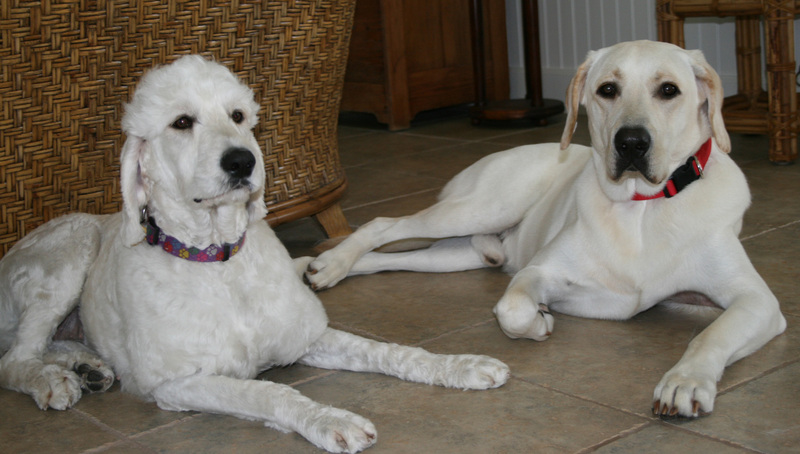 The mohair did not want to stick to the glue – a real challenge. 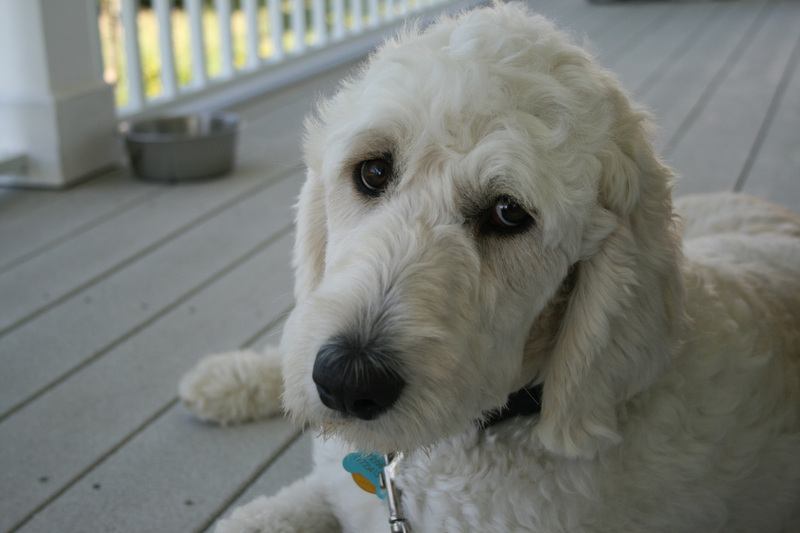 Can” t leave without including the newest family member photo – Dusty she is a sweet golden doodle and we are so happy to have her in our family ! 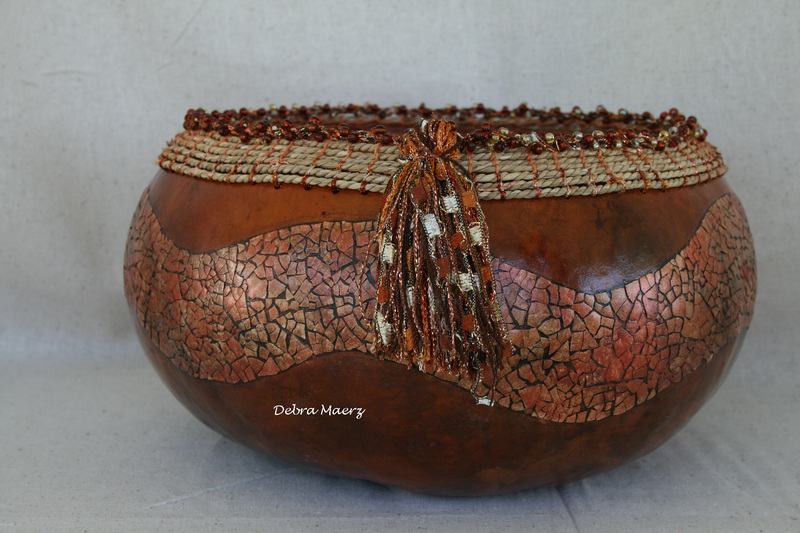 This entry was posted in Gourds, News and tagged Cloth Doll, Gourd by Debra Maerz. Bookmark the permalink.